Can Smark do anything our iPhone can't do? 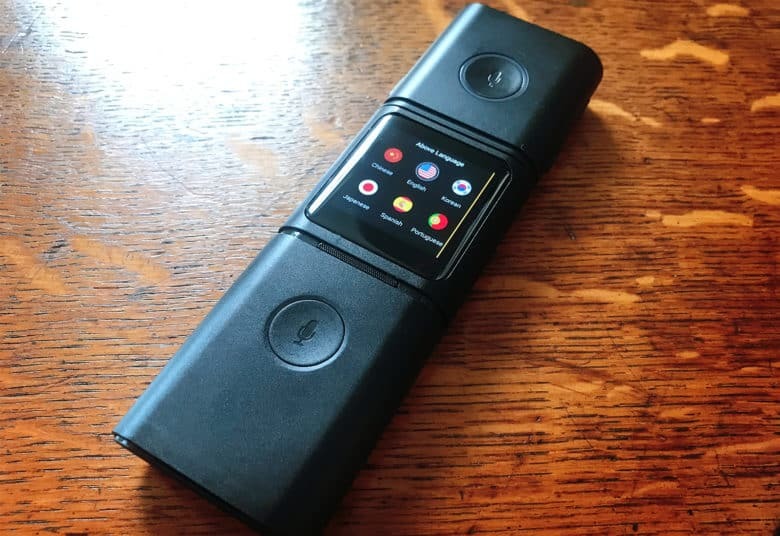 The Smark modular translator is something like Star Trek’s universal translator, a device able to instantly convert spoken words from one language to another. In the 1960s, this was pure sci-fi. But here in 2018, translation apps on our smartphones can handle the task with ease and accuracy. At this point, is there any reason for a standalone translation device? Smark offers some features that might make it appealing to travelers. Made by Chinese manufacturer Misway, the Smark admittedly starts with a pretty neat premise. It’s a modular device, about the size of a small TV remote or dictaphone. 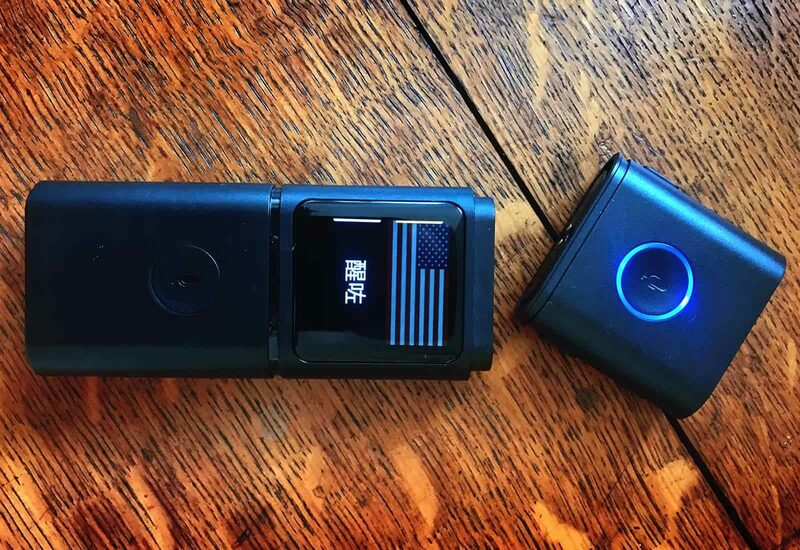 It comes apart into two walkie-talkie-style units, each with a speaker and a microphone. The Smark translator works just like you might expect. If you speak English and want to talk with someone who speaks Japanese, you just set the gadget to English-Japanese. (You can choose from a list of 36 languages.) Then, each of you takes part of the Smark. As you converse, the device translates your words into Japanese for them, while the reverse will happen for you. It’s a smart concept that promises to make for more naturally flowing conversations than are possible when using a translation app on your smartphone. The Smark interface, which revolves around a tiny LCD touchscreen, is intuitive enough. Selecting languages is a simple matter of swiping and tapping to select the ones you require. The screen also displays the spoken text. This allows you to carry out speech-to-text translation where necessary. The translations are powered by four different translation engines: Google Translate, Baidu, Microsoft Translate and Alibaba Translate. In the device’s options menu, users can select the most relevant translation engine. An optional SIM card is another neat touch. I did not test this option, as my Smark review unit is Wi-Fi only. I can’t comment on how well the SIM card works, but it should open up more options for travelers. The modular device gives both people their own mic to talk into. Smark is more functional than attractive. In some ways, its plastic body reminds me of a gadget from 20 years ago, before Apple taught us to expect our tech to look like art. That’s not necessarily a bad thing, however. A travel gadget that’s going to be stuck at the bottom of a rucksack, or used in parts of the world where you don’t necessarily want to attract too much attention, has different design criteria than a fancy smartphone. One shortcoming is the fact that only one of Smark’s modular translating sections has a screen. Since you’ll likely want to check that your words have been interpreted correctly, this somewhat defeats the idea that two people using Smark no longer need to be huddled around the same device. Invariably, the other party will want to glance at your screen to make sure they have been properly understood. Ultimately, I would consider Smark a “nice to have,” rather than an essential, travel gadget. It works well — but so do smartphone translation apps. If you don’t want to wave your expensive smartphone around when you travel, this may be worth considering. Even though I do dig the simplicity of the concep, Smark doesn’t offer enough to get you to put down your smartphone altogether. Smark is currently raising funds on Kickstarter to enter mass production. Prices for a single Smark translator begin at $191. Shipping is supposed to take place in December 2018. Head over to the project’s page if you want to preorder a Smark. Misway provided Cult of Mac with a review unit for this article. See our reviews policy, and check out more stuff we recommend.